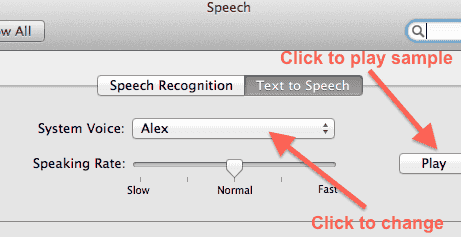 Mac lets you convert text to speech and play it. It can be done in many applications (Chrome, Firefox and other browsers, textedit, etc.) 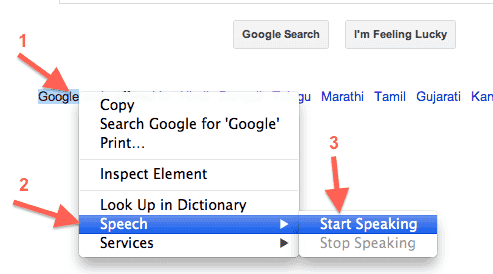 by highlighting the text and right clicking on it and then clicking Speech -> Start Speaking as shown below for chrome browser. 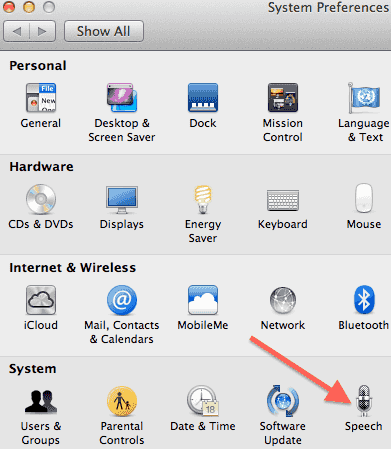 To add more voices to this list, you can click customize and select the voice you want to add. Some of these voices may have to be downloaded. e.g. 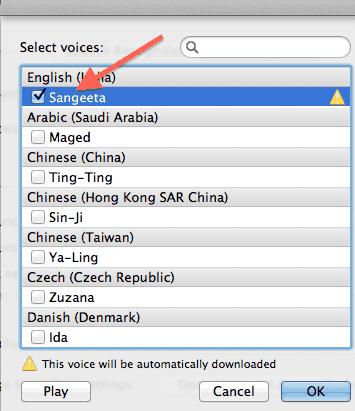 To download Indian voice select as “English (India)” -> Sangeeta as shown below. In this case since Indian Voice Sangeeta is not there already on the system, it will get downloaded when you click ok and once downloaded it can be selected as default system voice.